Chief Justice Dipak Misra warns senior advocates that raising their voices during hearings would not be tolerated at any cost. NEW DELHI: The Supreme Court on Thursday took strong exception to senior lawyers raising their pitch while stressing their arguments and trying to browbeat judges, especially during high-profile hearings. 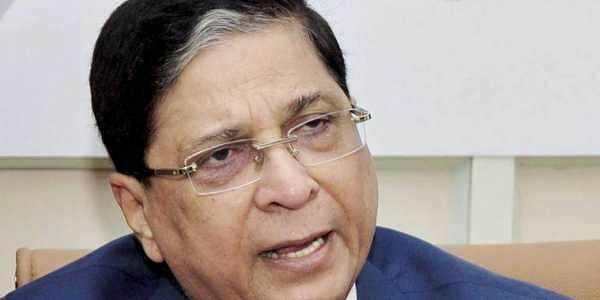 A five-judge Constitution Bench headed by Chief Justice of India (CJI) Dipak Misra warned that shouting will not be tolerated anymore. The remarks came in reference to the recent hearings in the Ram Mandir-Babri Masjid title suit and the Delhi government and LG power tussle case. “What happened yesterday (in the Delhi vs Centre case) was atrocious and what happened a day before (in Ayodhya case) was more atrocious,” the Bench, also comprising Justices A K Sikri, A M Khanwilkar, D Y Chandrachud and Ashok Bhushan, said. “Come what may, shouting in the courtroom will not be tolerated at any cost,” Justice Misra observed while the Bench was hearing a legal question whether a Parsi woman loses her religious identity after marrying a man of different religion. Raising the issue of senior advocates shouting in the court, senior advocate Gopal Subramanium said the tendency was getting acute and that lawyers must exercise restraint and show respect to the institution. “When lawyers argue in a manner not in tune with constitutional language, we will tolerate it, but for how long? If the Bar does not regulate itself, we will be compelled to regulate,” Justice Misra added. On Tuesday, several senior lawyers including Kapil Sibal, Rajeev Dhavan and Dushyant Dave had made high-pitched arguments in the Ayodhya case seeking adjournment of the hearing till July 2019 and some of them had even threatened to walk out. During the hearing in the Delhi-Centre dispute case on Wednesday, Dhavan had made some submissions which were also not in the right tone.